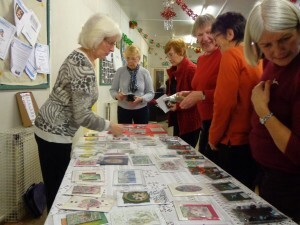 Choir member Ann Normanton has been making articles to sell to friends, choir and church members at her annual Christmas Fairs since 2003. In 2015 her efforts raised £106 for Overgate Hospice. Gordon Stewart will be taking the rehearsals for the Hymn Sing on 30 March, 6 April and 13 April in preparation for the Hymn Sing on Saturday 16 April. We should attend at least 2 of the 3 rehearsals to take part in the Hymn Sing. We are delighted that RACHEL MOSLEY, soprano from Opera North, will be joining us again this year. Firstly, much gratitude goes to all for a very enjoyable and fulfilling evening of Carols at the Minster in Halifax on the Saturday before Christmas; a great time was had by everyone! Very well done. Can it really be a quarter of a century down the line since the great Voices for Hospices initiative sponsored initially by British Telecom and all those simultaneous performances of Haydn’s Creation set off by the late and much-loved Earl of Harewood from my own place of work at what was then Leeds Parish Church? At home in 1991, we had the Leeds Philharmonic Chorus under Sir Charles Groves. Here in Halifax, this memorable event was directed at the Victoria Theatre by our Founder-Conductor Donald Maxwell-Timmins MBE. The rest, as they say, is history. In October 2016, Overgate Hospice Choir reprises the magnificent music of Haydn by a special gala performance of The Creation in All Saints’ Church, Elland, whose superb support of OHC events over the past 25 years has been, and continues to be, so very much valued. It is a delight to announce that, thanks to a generous sponsor, we will have our friends Sally Robinson and her National Festival Orchestra with us as well as a gala team of soloists and Alan Horsey at the organ. Another of our regular venues is, of course, Halifax Minster and we visit the Minster in May of this year for our special concert in celebration of the 90th birthday year of Her Majesty The Queen. Before all that, we’re at Brighouse Central Methodist Church for our Annual Hymnsing conducted and hosted by the ever-expert and highly genial Dr Gordon Stewart on Saturday 16 April at 7.30 pm. Besides my work with the Overgate Choir, I am privileged to conduct both Sheffield Bach Choir and Doncaster Choral Society; many Overgaters will know that these three ensembles are additional to my longest established choral appointment, that of Music Director to St Peter’s Singers. I am indeed fortunate to be remaining for the foreseeable future with SPS after my forthcoming retirement from Leeds Minster in the Summer of 2016. At Leeds Town Hall, where I have held office as City Organist since January 1976, the City Council have asked me to programme the upcoming season 2016/17 and this will be my final series of concerts in post. I go to the Royal Northern College of Music to take fortnightly classes in Organ Skills and Church Music. That’s a very early start from Pudsey most Tuesdays. 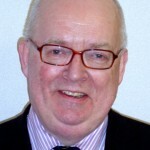 Among other activities, I am an elected member of the Trustee Council of the Royal College of Organists, a Director of the English Hymnal Company, and, as Grand Organist to the United Grand Lodge of England from 2010 to 2012, a member of the organ working party of the United Grand Lodge of English Freemasons responsible for the supervision of the restoration and rebuilding of the Willis organ in the Grand Temple of Freemasons’ Hall, Great Queen Street, WC. I have served as Provincial Grand Organist for the Masonic Province of Yorkshire West Riding for six years and visit Halifax regularly as Organist to the Richard Gill Chapter of the Masonic Rose Croix order.